It is remarkable just how much of a difference selecting the right siding can make in transforming the appearance of your home. Aside from providing a fresh, new look and creating great visual appeal, installing modern siding products can play a major part in improving energy efficiency and the value of your property. 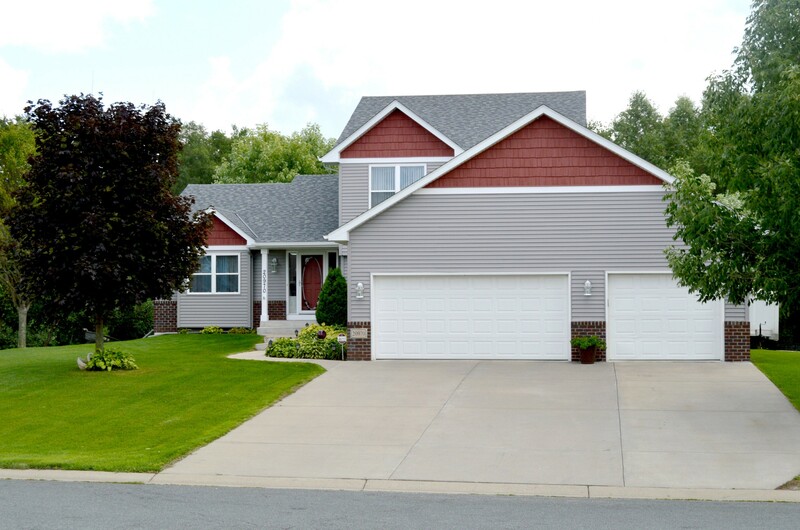 Whether it is time to refresh the look of your home, or storm damage necessitates the need for siding replacement, Johnson Exteriors can provide your home with the look it needs – one that will also make you happy with the result. A wide assortment of colors are available from which to choose. Additionally, there is an array of materials (both natural and artificial) for your siding installation project. Many times, a homeowner will notice wear and tear on their house siding and assume various reasons for it. While it is possible that a bird or some sort of animal could be scratching the siding, or perhaps nearby trees or bushes are damaging the siding with physical contact, what is the most likely cause? The most common cause of siding and exterior damage is moisture. Moisture does not only damage the exterior look of old or worn siding, it can also compromise the structure and inside walls of your home. Precipitation damage can be even more severe when the cause is one of Minnesota’s summer storms or high wind damage and hail damage. Whatever the reason, replacing damaged siding is important to prevent bigger structural problems for popping up. We will be happy to take the time to explain the different types of siding available for your home. But here’s a brief listing of some of the different choices available in siding. Also known as “shakes,” this product is made from natural cedar. It has the natural look of real wood and comes in colors of stained brown, gray or other earth-tone colors. Cedar shake also requires less maintenance than wood clapboard. This type of siding is a traditional exterior covering that has been used for hundreds of years, and in fact, some wood-frame homes still look beautiful after a century or more if they are well cared-for with proper staining or painting. Often available with a warranty of up to 50 years, this product can take on the look of stucco, wood or masonry. This home siding product is strong, as evidenced by being rated as both fireproof and termite-proof. Because of its strength, this siding product combats shrinking or bulging, which is brought about by changes in temperature. It can also take on different looks, ranging from wood-like to industrial. A traditional, widely used product that is still used on many homes. Aluminum siding tends to fade in appearance after several years; however, some owners paint over it to extend its life. Over the years, it has been replaced in widespread use with…. Because this vinyl product is derived from a PVC plastic, it does not rot or flake. The upsides of installing vinyl siding include product price and installation costs. Among the downsides, vinyl siding is capable of cracking or fading in color. It is not fireproof and releases toxins if exposed to fire. Severe storms in Minnesota this past May rendered our home in need of a new roof and siding repair from hail damage. “We want you to know that we are very pleased with the quality of service you personally gave us. Not only did you contact our insurance company, you pulled all permits, you met with our Insurance adjuster on several occasions, and had all paperwork prepared and in order for city inspections. “We appreciated your responsiveness and the way you conduct business. We found you to be fair, honest and available at all times to answer any questions or concerned we had. “Our home looks beautiful with the new siding and roof. 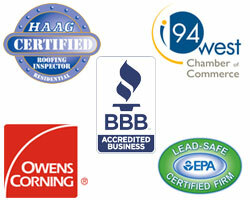 We have recommended your Company to others because of our satisfaction with your service. Johnson Exteriors is the smart choice for your Minneapolis – St. Paul siding contractor. We can explain all the options available to you, helping you decide what works best with your home. Contact us at (763) 355-4458 for a FREE consultation.